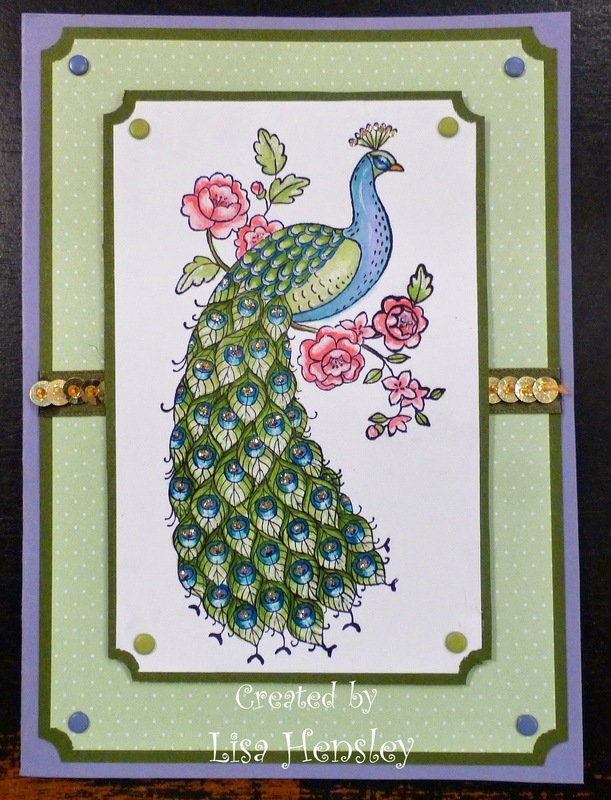 The Shabby Stamper: Perfect Peacock! This was the first set that I wanted from the new catty! I unfortunately missed the deadline for the new Stampin' Blendabilities, so I did this with my usual method of watercoloring -- lifting the ink directly off the ink pad with an Aquapainter. The Island Indigo/Wisteria Wonder centers of the feathers are flecked with gold ultra-fine glitter. By the way, Mossy Meadow is the most glorious color ever! All products are SU!, unless otherwise noted. Click here to purchase your annual subscription to the 2015 Paper Crafters Sampler! I've been stamping for about 12 years or so and have been an independent Stampin Up! demonstrator for 8 years. I don't do many workshops, but am mainly a hobbyist -- and love it! Stamping has given me an outlet for my creativity, for which I am truly grateful. I'm also a member of the Paper Crafters Sampler and the Splitcoast Stampers Creative Crew design teams. I hope that you enjoy my blog! PCS Cross Box blog hop!! Welcome to the first stop on the PCS Easter Bonnet Hop! Paper Crafters Sampler Birdbath Blog Hop! PCS High Tea Blog Hop! Stampin Up! Cake Builder and Butterfly Punch bundles are back! This blog is being deleted today. Welcome to my stampin’ blog!